Happy Holidays everyone! For our last episode of 2013, we were approached by our friends Tom and Matt to play 12.31.93 from Worcester, Mass. It's funny because Brad and I actually discussed playing this show, and then we heard from these guys. Serendipity! It's a great 3 set show, of course, and we hope you enjoy. The setlist and Listener Notes are below. And one quick appeal from us: please review us on iTunes! 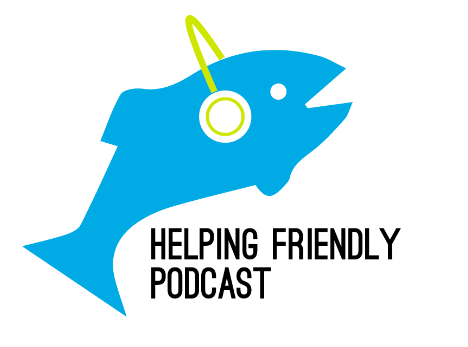 Lastly, send comments and feedback to helpingfriendlypodcast at gmail dot com, and follow us on Twitter @hfpod. New Year's Eve shows are celebrations. Phish shows are celebrations. The combination of the two can be explosive. So we're closing out our first year of the podcast on this celebratory note, 20 years ago this week. This may be the most "popular" show we've played, but all 3 sets are worth revisiting. As many of you probably know, this show was broadcast on radio in the Boston area, so the sound is pristine. The first set of this show has a great moment during the break in "Guelah Papyrus" where Trey asks "Is everybody in yet?" Our guest Matt mentioned that there were storms in the Northeast that night, so people were slow to fill up the arena. The first set is highlighted are "Stash" and "Run Like an Antelope," both featuring huge energy and their classic jamming approach of tension and release—and the evolution of this jam style has led to everything that we've seen since. The second set kicks off with a hot "Tweezer." I think we'd argue that 1994 really represents the birth of the modern "Tweezer" jam, but this one is pushing the envelope in that direction. Fishman drives the jam for a while, and Trey begins building it with some groovy rock patterns, and Mike weighs in pretty heavily as well, bringing a little bit of funk to the jam. The peak of the jam has some classic Trey raging from the early 90s. I love this song. The third set contains one of the truly classic moments in Phish history, when "Auld Lang Syne" rings in the new year and transitions into the jam of "Down with Disease"—a song that had to this point never been heard. Our guest Matt said: "There's no way anyone there would not say it was the greatest thing they'd ever heard." Makes sense given the beauty of that jam—and remarkable that this show introduced us to one of the band's most enduring and adventurous songs. The band closed out this night with an a capella version of "Amazing Grace," which was a perfect end to a marathon, classic show. We really hope you enjoy revisiting this as much as we did. And Happy New Year!